Home News Summer only comes around once a year — or does it? It’s that time of year again. 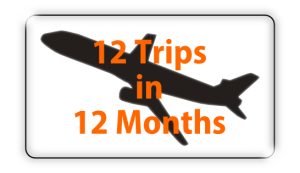 Our 12 trips in 12 months tickets are for sale now at TD banks across the province! Every month, the PFY 12-in-12 draw gives ticket holders a chance to win either $144 in cash or a vacation worth $3500! Your chances to win are great with four cash winners and one trip winner every month. We keep the number of tickets low so as to give everyone very good chances at winning. Better still: your ticket will remain in the pool until you win a trip. This means you can win the cash prize any number of times throughout the year. Interested? Take a look at our 2014-15 monthly winners.